Review: Smoove Universal Chain Lube – does it live up to the hype? “Probably the hardest wearing, dry chain lubricant on the planet”, or so it says on their website. 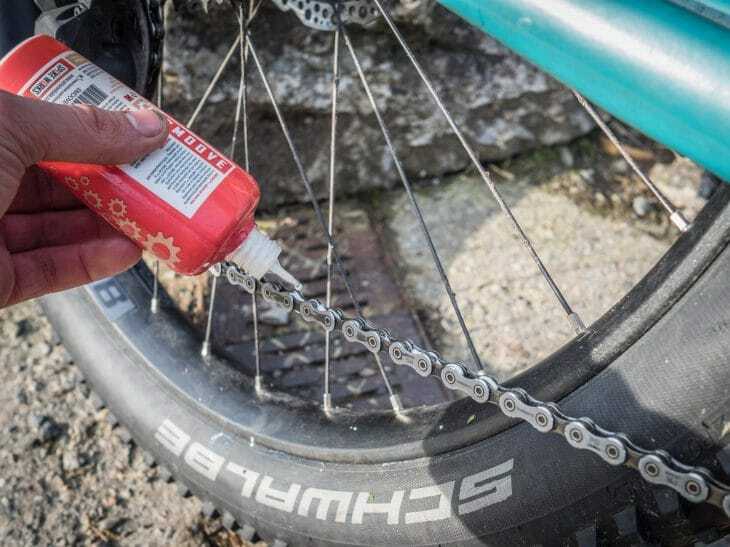 Smoove make some bold claims about their Universal Chain Lube, and to be honest I was initially sceptical, having heard the same things before for just about every other lube, only to find very little left on my chain a few miles later. Wax lubes don’t tend to stand up to the moisture and abrasion of typical British conditions, so when I read Smoove’s invitation to give their lube “a thorough thrashing” in their paperwork, I rubbed my hands together. A couple of months later, and I take it all back. The bottle is actually quite small. 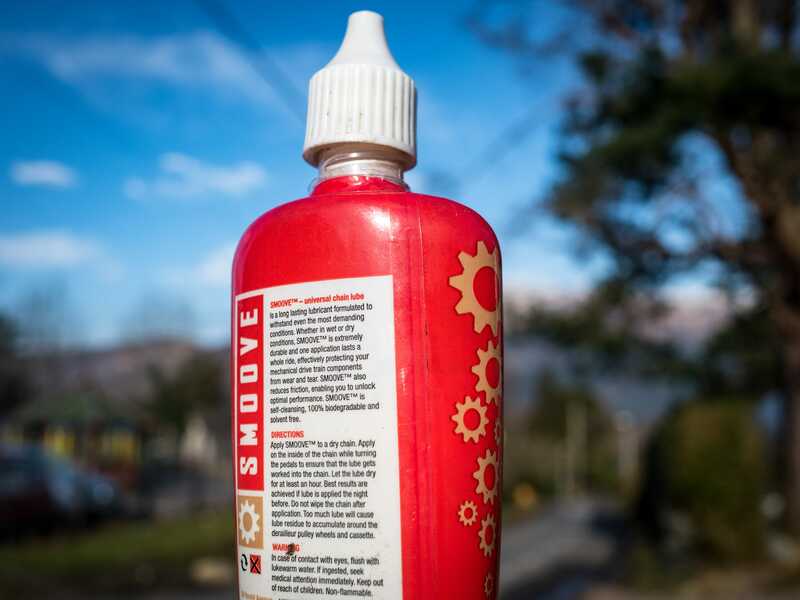 Like many other wax lubes, Smoove insist on a particular method for applying it to your chain. First of all, it needs to be clean and dry, so I soaked my fresh, new chain in citrus degreaser before giving it a proper scrub and dry. 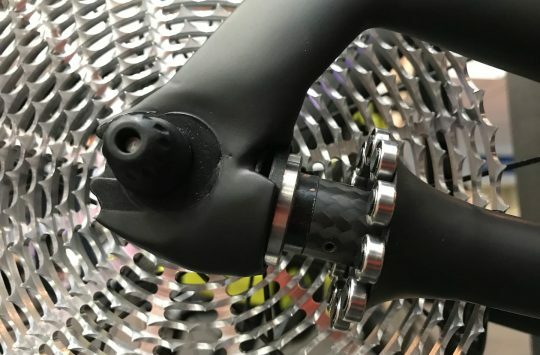 Once re-fitted to the bike, a thin coating of the white, waxy liquid is applied to the inside of the chain before allowing it to dry “for at least an hour”, although overnight is even better. The morning after I applied it, the chain was dry to the touch, if very slightly sticky, and was shiny once more. Where a couple of drips had fallen on the floor, there were little mounds of goo that felt like dried PVA glue. The best sign of a well-lubricated drive train is that you don’t notice it, which was exactly what I, err, did(n’t) with Smoove. Quiet, smooth and without the grinding sensation of expensive pieces of metal wearing each other out. Nice. When using wet lubes, my maintenance routine consists of hosing down, wiping the chain thoroughly with a rag until it’s shiny again, and reapplying the lube. Initially, I did the same with the Smoove lube, and noticed a grey residue building up around the chain and sprockets. After consulting their website I discovered that I was applying it too often, because this stuff lasts longer than the wet lubes I’m used to. It coats the chain with a much more sticky, durable coating that does seem very resistant to dirt, and water doesn’t seem to affect it at all. Its only weakness seems to be salt on the roads, as the side plates of the receive no coating and remain prone to corrosion. 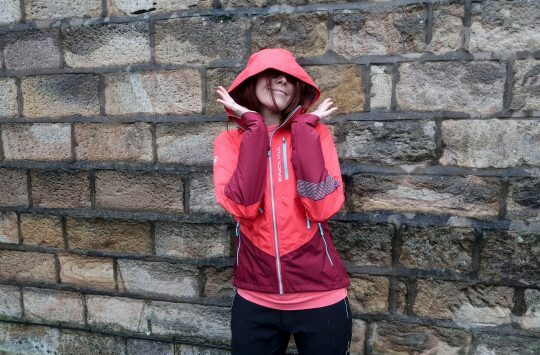 I’ve been using Smoove on and off road, and its biggest outing has actually been road-based, using just one application to ride the 890 miles between John O’ Groats and Land’s End at the end of December. No problem, and no dirt build-up. Off-road results have also been good, with the coating lasting several muddy rides before coming off. The downsides to Smoove are its higher price, and the fact that it takes while to degrease the chain and reapply. The first becomes a non-issue for me when you realise that one 125ml bottle is likely going to last a lot longer than cheaper lubes, and the second comes down to how much effort you like to put in to maintenance. One application for a winter LeJog? Sounds effective to us! 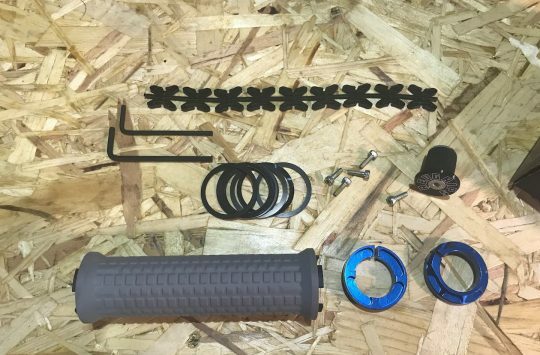 When your riding consists of frequent, muddy and gritty outings, the extra effort required might not make Smoove the best contender. For everything else under the sun though, this has become my go-to lube. I’ll be continuing to use Smoove for wet and dry rides in the future, although a larger, better value bottle would be nice, please. London Bike Show 2018 Is Go! Come by and see us!